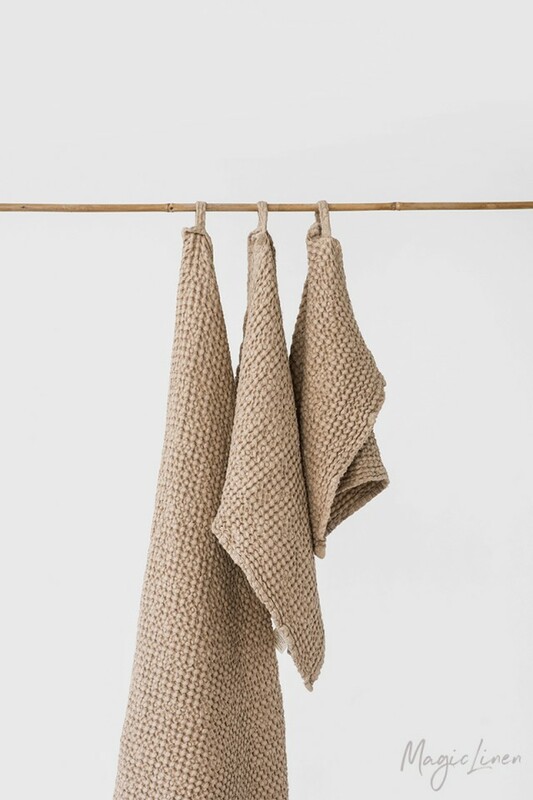 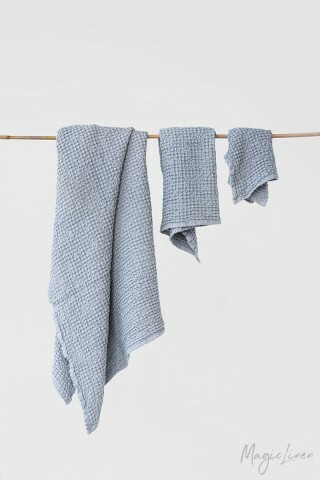 Linen-cotton blend towel set in beige color. 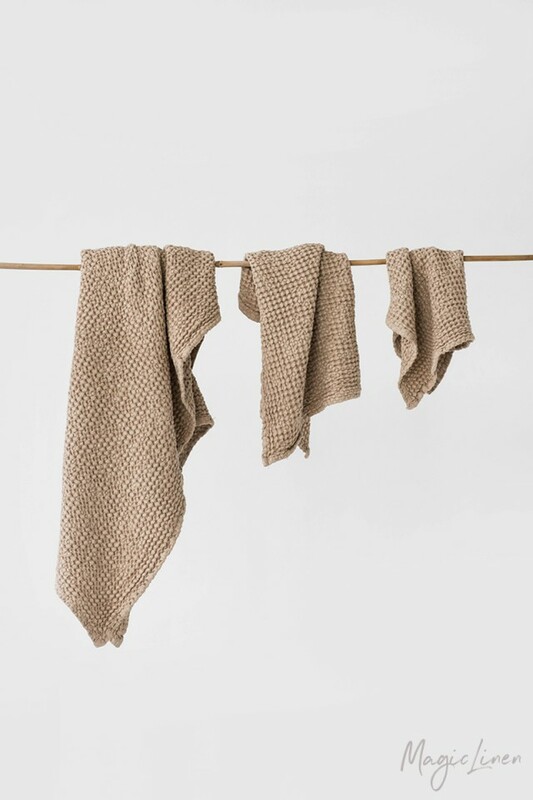 The puffy waffle weave not only increases absorbency, but also gently exfoliates your skin. 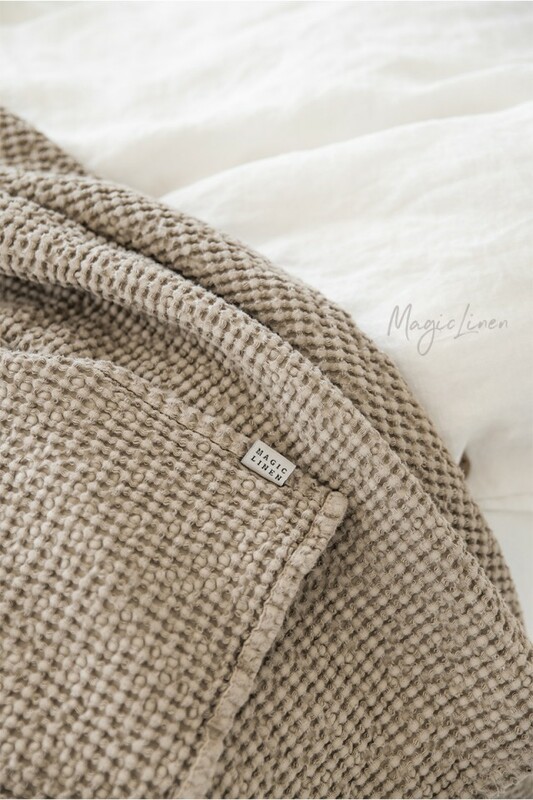 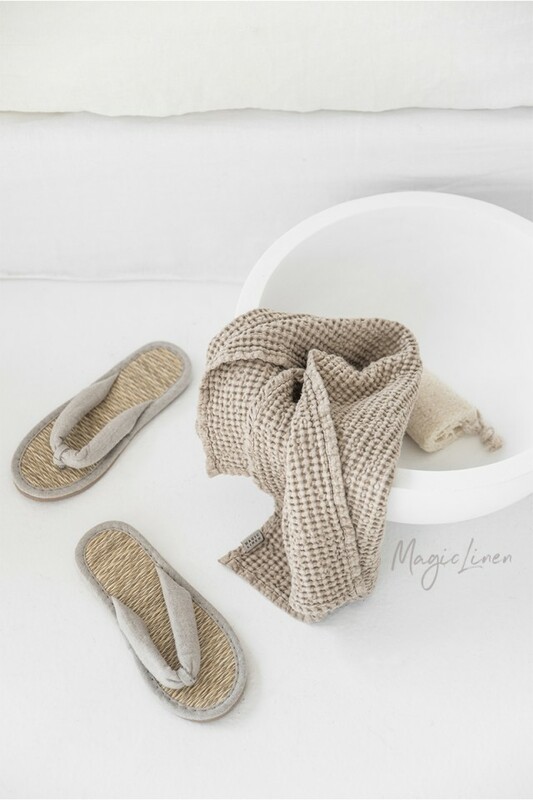 Linen is naturally antimicrobial and allows for easy airflow ensuring your towels dry quicker and stay free of mildew, germs or unpleasant odors. 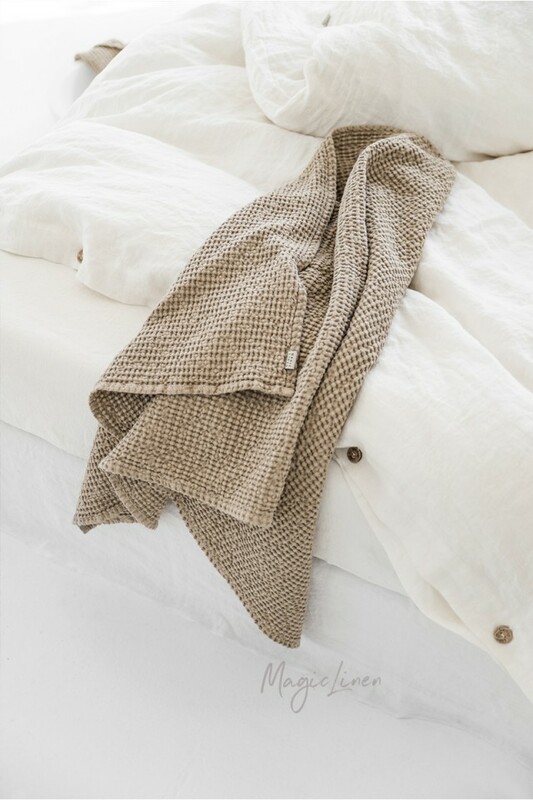 Wrap yourself in luxury!